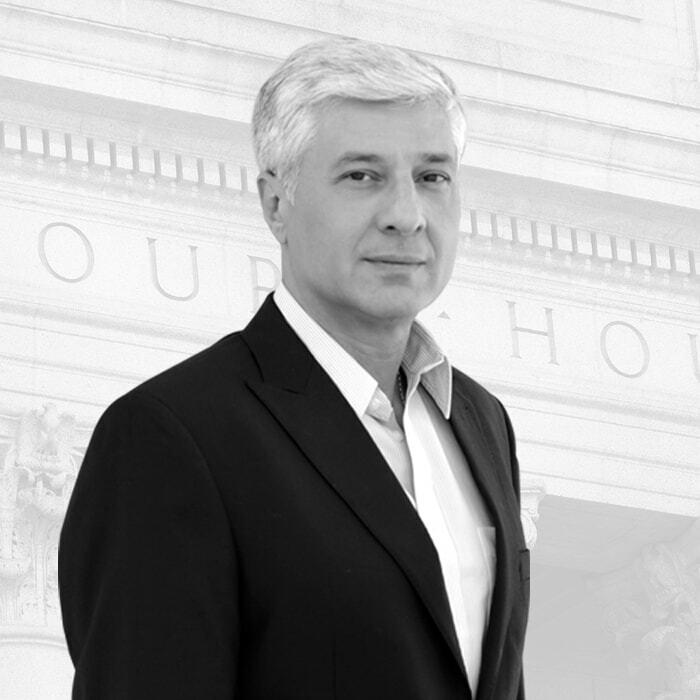 James K. Sadigh has been a Los Angeles personal injury lawyer since 1989. Along the way he has also developed several other fields of expertise. He graduated with a BA in International Relations from United States International University (now Alliant International University) in 1982. He received his law degree from the University of LaVerne in 1989. As a law student he worked as an investigator and paralegal for a personal injury law firm. From 1989-1992 he was an Associate Partner at the law firm of Joseph Ryan in Century City. In 1992 he established his own practice in Century City, specializing in personal injury, business litigation and wrongful termination, which he ran until 1998. From 1998-2010 James was half of the partnership of Moghaddami & Sadigh in Los Angeles and Glendale. They specialized in personal injury, personal injury insurance defense, wrongful termination, labor disputes and business litigation. In 2010 James decided that the partnership had grown too large. He wanted to devote more personal attention to his clients, so he formed a new James Sadigh private practice, specializing in personal injury, medical malpractice and wrongful termination. Currently, James has narrowed his focus and deals mostly with personal injury, insurance claims and wrongful termination cases. James has served as an attorney for the plaintiff as well as for the defense. He has extensive experience in arbitration and mediation and has even served as a Judge Pro Tem. James Sadigh’s diverse legal experience and his humanity make him a formidable ally for anyone in need of legal assistance.